Hand-written lyrics by John Lennon, including ‘In My Life’, ‘Give Peace a Chance’, ‘Happy Christmas War is Over’ and ‘Woman’. ‘Grapefruit’ – Yoko’s artist book, which she gave to John as a gift in 1966. Published in 1964, the book represents a seminal piece of conceptual art and was a direct influence on the lyrics and ideas behind ‘Imagine’. Original artwork by both, including Yoko’s ‘Ceiling Painting/Yes Painting’, ‘Painting to Hammer a Nail’ and ‘Apple’ as well as ‘The Daily Howl’, a hand-made book by John from his childhood and numerous examples of his distinctive line drawings. 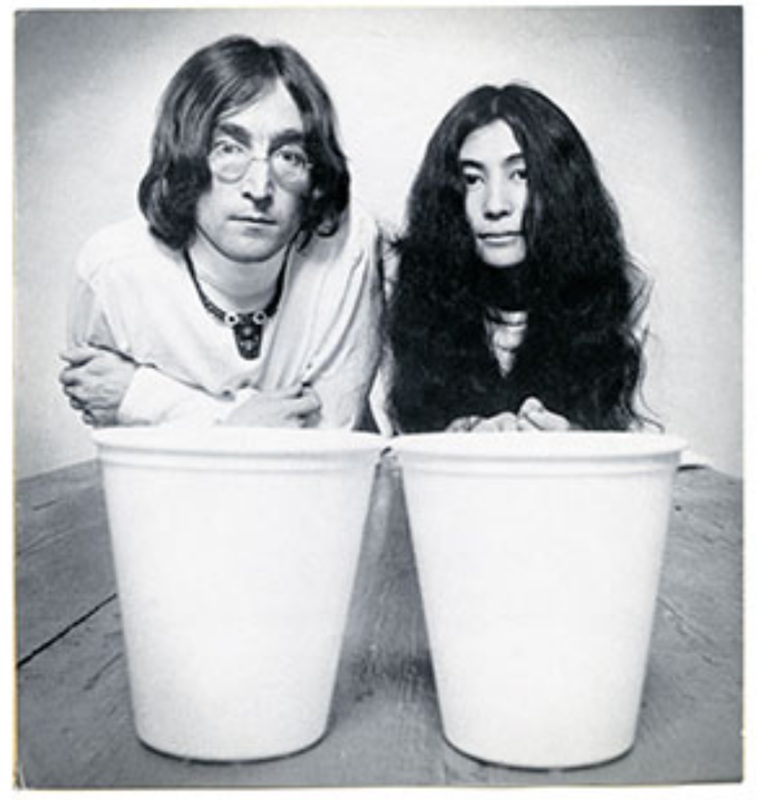 The exhibition also features conceptual work the couple produced together, such as ‘War is Over’, Plastic Ono Band’ and elements of their first collaboration ‘Acorn Peace’. 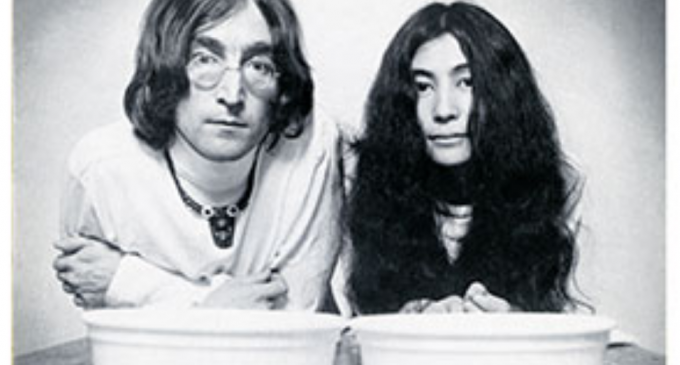 Many personal items, such as John’s wire-rimmed glasses, Yoko’s large Porsche sunglasses, iconic items of clothing, such as John’s New York City t-shirt, and items from their wedding outfits. An extremely rare Sardonyx guitar used by John on the album ‘Double Fantasy’, and the acoustic Gibson guitar, illustrated on by John, from their 1969 bed-in. John’s hard-won Green Card. Items from the the couple’s famous 1969 Bed-Ins in Amsterdam and Montreal. A rolling programme of the films that John and Yoko created, and music videos made under Yoko’s supervision. A music room, overlooking the Mersey with the couple’s albums played for visitors will feature album cover art. A recreation of the ‘Imagine’ mosaic circle in Strawberry Fields, Central Park, New York. An intimate and contemplative space, it will also reflect on the global impact of John’s death.